This is the second day of my trip south of Bangkok to Phetchaburi and Hua Hin (click here for Day 1). 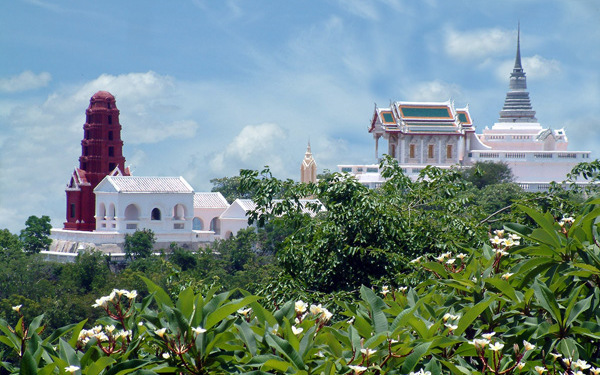 Together with Cha-am, these are popular destinations for people from Bangkok. Particularly during long weekends. If you don’t like crowds or traffic jams, then it is probably best to visit at other times. The second day was spent exploring Hua Hin and nearby districts. The following photos were tweeted live during the day on @RichardBarrow. Follow me for all the latest updates on Thai travel news.